Excellent renovations make the whole house better, reduce bills and improve comfort. Unfortunately, too many reno projects miss opportunities to reach their potential. We present you with our top eight design considerations along with real-world profiles that show just how good renovated homes can be. 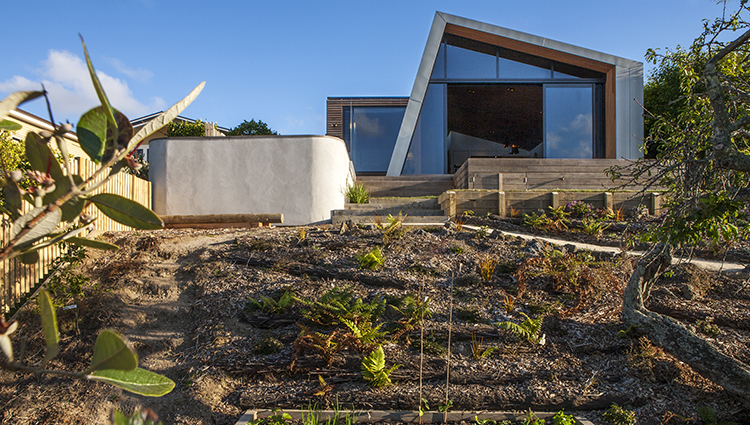 A net-zero house is one where annual energy needs are met with onsite renewable energy. This can be achieved when renovating by installing an appropriately sized solar PV system, improving the energy efficiency of the entire home and appliances and removing any gas connection (gas from fossil fuels is not renewable). The 7.9 Star Cheese House has done this and more. It’s a net ‘positive’ energy building as it generates energy surplus to need; a worthwhile achievement considering the housing sector accounts for 13 per cent of Australia’s emissions contribution. Even well-designed passive solar homes will often benefit from boosting passive heating/cooling with some active HVAC. When renovating, take the chance to coordinate these passive and active systems – this way you achieve superior comfort with lowest bills. 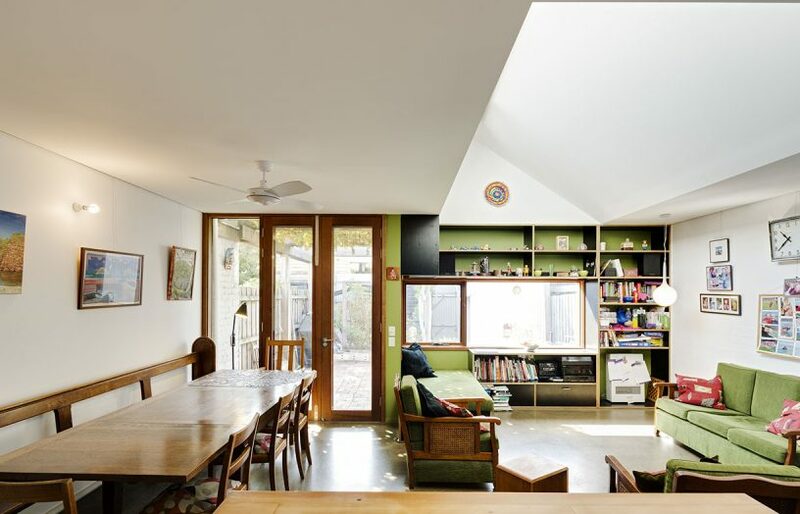 Rarely is this executed as well as in Paul Hendy’s 8.4 Star Adelaide cottage, which has a passive solar addition. An air transfer system, operated with the latest KNX automation, helps maintain interior comfort at 18 to 27 degrees Celsius throughout the year. For generations, European houses have met higher thermal efficiency standards than Australian homes, which are lucky to reach 2 Stars if built before 2003. A renovation provides the opportunity to improve this, as Core Collective in Hobart shows with the thermal makeover of a 1930s brick bungalow. As part of a renovation they installed hefty insulation, draught seals, triple glazing and low-energy or all-solar-electric appliances such as a heat pump hydronic heating system, with impressive results. About half of a building’s lifetime energy use is associated with the materials used to construct it. That’s why, in addition to heritage, many consider retaining rather than demolishing a building. The ‘Upcycled warehouse’ factory refurbishment is a case in point – the owners have prioritised character, reuse and recycling. They also made sure any new materials met the highest green credentials including being certified sustainable, low-embodied energy and reusable at end of life. Australian houses are among the world’s largest, on average, but this doesn’t mean they’re the most functional or affordable; and rarely does a big backroom extension solve the problems of a dysfunctional house. Space in our cities comes at a premium and small-space design is opening up new opportunities, as Kurt Crisp’s 142m2 house for his family of six shows. With a footprint of just 71m2 it’s an exemplar of smart design delivering high quality on a challenging site. Future proofing is an evolving area of sustainable design, and is about setting a house up to support the occupants’ current and future needs. Downsizing/ageing in place is an aspect of this, as is accessible design. But so is mitigating against future energy prices and blackouts, considering transport and access to services. Flexible design can also include making a house easily adapted for co-habitation, multi-generational living or even divided to become two dwellings! If renovating, we encourage you to consider whether you’re adequately setting yourself up for life. Well designed and located windows connect inside and out, provide views, natural light, passive solar heating and ventilation. But if they’re leaky, oversized or in the wrong position they can also be a weak link for thermal performance. 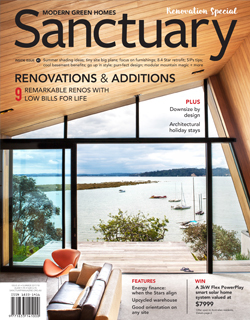 Our Auckland cover feature shows how it’s done well: new windows were positioned to capture views and breezes and existing windows retrofitted with double glazing. Although upgrading windows can really make a renovation – it might not be worth the expense if walls and ceilings are left un-insulated. Not everyone can live on the sunny side of the street; luckily there’s a lot that can be done to improve the energy performance of houses with ‘poor’ orientation. The first step is to identify a site’s strengths and weaknesses, remembering there are two aspects to passive solar design – passive solar heating and passive cooling – and that a shady site might work well in summer. We compare two similar houses with opposite orientations to show how to achieve great liveability on any site. With thoughtful passive solar design, ageing terraces can be sensitively revitalised to achieve high levels of sustainability – even if the party wall is along the north side. 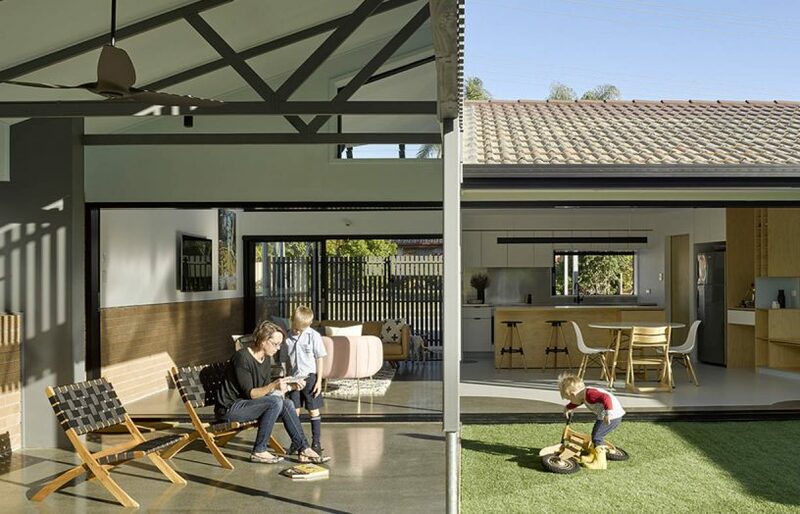 A standard, single-storey brick house in Brisbane sets a precedent for how 1980s housing stock can be renovated to suit a sub-tropical climate. 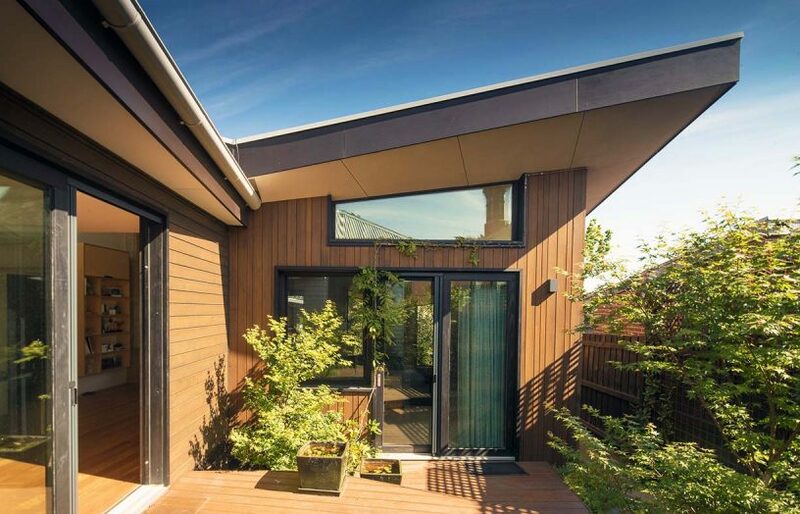 A heritage house in Melbourne’s inner east has collected two major sustainability awards, just as a new report highlights the need for existing houses to be retrofitted to tackle climate change.